Style-guide-driven development is officially a thing. And it’s kind of epic. Despite being a pest, email is still an effective marketing channel. 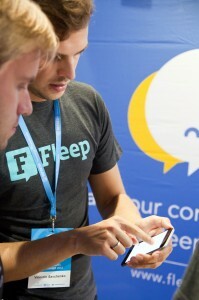 We at Fleep are in the business of replacing email conversations. However, Julie Ng explained that email is this cockroach of a social network – it’s a pest, but when presented right, it can be used well for marketing purposes. Julie shared how people are more likely to read your email newsletters and buy whatever it is you’re selling if the email is responsive and pretty, not wall-of-text style or plain text. She also gave some great advice on how to make sure your well-designed HTML emails look shiny and beautiful in the different email platforms. Taking a feature from idea to deployment can be a rocky road. You can choose to make it a smoother ride. You’re a developer? Never leave your laptop home when going to a conference. At Refresh, we noticed our developers got a bit more restless with every session and every break. Why? They just could not wait to start writing code – and they had not brought their laptops. Lesson learned. Next time, they’ll bring their computers and code away during the breaks. Yes, you can fit great actionable content into a 30-min presentation. This is something that blew Katheriin from our Growth team away – having worked with tech conferences before, she was thoroughly impressed by the speakers’ ability to share a lot of inspiring and practical content in just half-hour blocks. “By the end of the day, my brain was so full of ideas and possibilities!” she said. The Mash Machine makes for a good party. 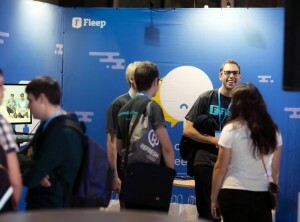 Refreshed, our team is now going full speed at the Fleep offices. Just one question remains for the organizing team… Same time next year?